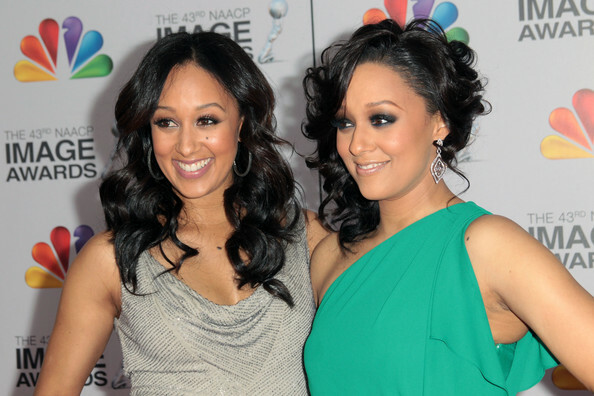 *Style network reality series “Tia & Tamera” returns tonight to continue its second season following the lives of twin actresses Tia Mowry-Hardrict and Tamera Mowry-Housley. 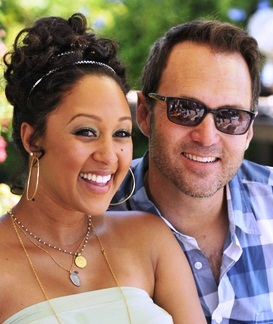 In the episode, airing at 9 p.m., pregnant Tamera, who is due on Oct. 30, reveals to Tia and her friends that she is having a boy. Tamera then gets a rude awakening in New Orleans when she begins production on a new film, only to find out how difficult it is to remember lines due to her pregnancy brain. Meanwhile, Tia receives some unsettling information about her future on BET’s “The Game” and faces a huge decision about her role. We all know by now that she opted to leave the show and focus on “other projects,” but tonight’s episode will show viewers what led up to the decision. Below, Tia told us that agreeing to shoot more Season 2 episodes of “Tia & Tamera” in addition to her post “Game” projects and being a mom to 1-year-old Cree with hubby Cory Hardrict was not an easy decision, particularly because viewers are forming opinions about her personal life, and not a character. Last week, Tamera found out the hard way that Twitter followers can be just as judgy as reality TV watchers. She became a sudden target of outrage after tweeting during the vice presidential debate that it is rude to interrupt. Not only did she get Twit-hate for appearing to blast Vice President Joe Biden support the Romney/Ryan ticket, but folks threw race into the mix, criticizing her for having a white husband who works for Fox News Channel. Tia goes all-out planning an elaborate first birthday party for Cree, but she gets far too caught up by the idea of the perfect party to enjoy the planning process. Things begin spiraling out of control, and friends and family must step in to help Tia gain perspective. Tamera’s world also is shaken up when she notices her elderly dog behaving bizarrely so she calls in a canine behavioral expert to help. Always interested in connecting with their roots, the twins and their cousin Jerome head to the Bahamas for fun in the sun and a chance to acquire more knowledge about their ancestry. But the trip gets off to a rough start when the airline loses their luggage. Tamera wants to enjoy what could be her last vacation before her little boy is born while Tia scours the island for any potential Bahamian relatives.